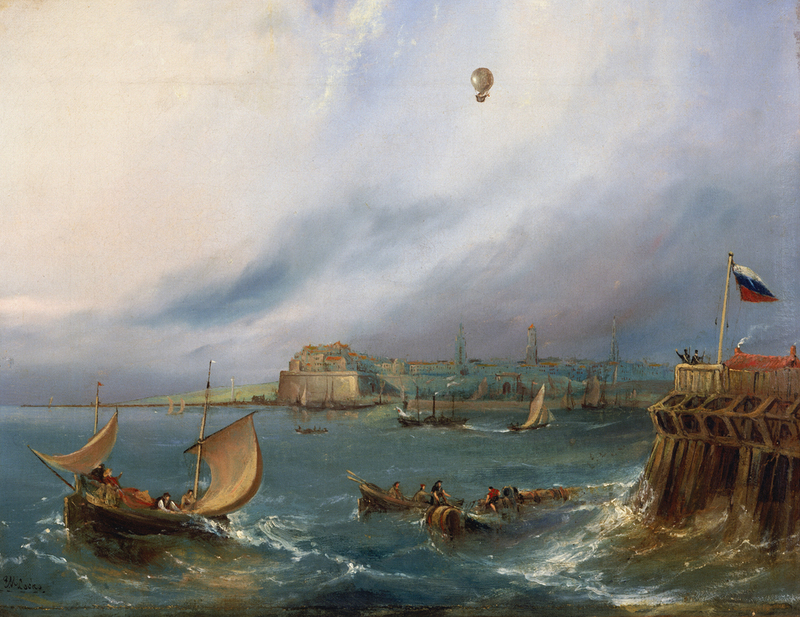 7 January 1785: On a clear, calm day, Jean-Pierre François Blanchard and Doctor John Jeffries flew across the English Channel in a hydrogen-filled balloon. 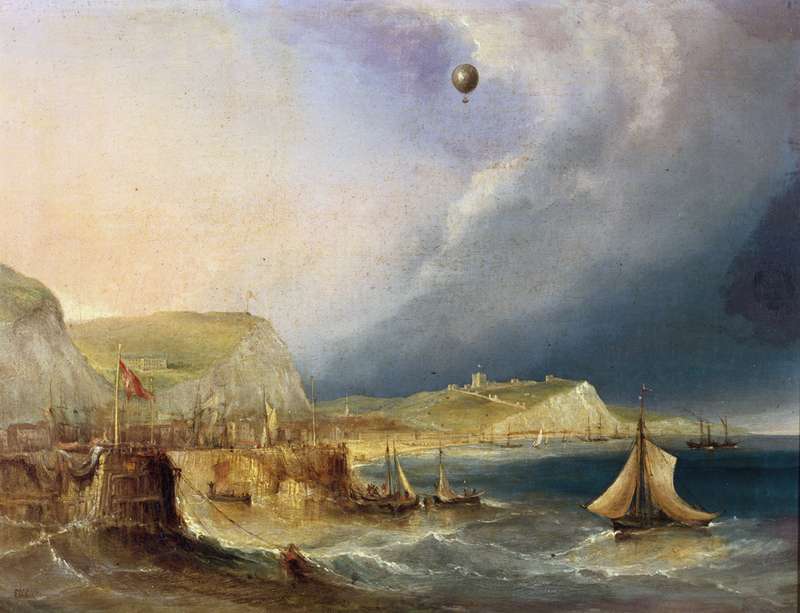 They lifted off from Dover Castle, Kent, England at about 1:00 p.m. The journey to Guînes, Pas-de-Calais, France, took about two and a half hours. The balloon was approximately 8.2 meters (27 feet) in diameter. A gondola was suspended beneath the gas envelope, equipped with oar-like devices that were intended to steer and propel the light-than-air craft. With sufficient buoyancy to just lift the two aeronauts and their equipment, the Channel crossing was made at a very low altitude. During the flight, all ballast, their equipment and most of their clothing were jettisoned. They crossed the French coast at about 3:00 p.m. and at 3:30, came to rest in a clearing in the Felmores Forest, near Guînes.